Don’t miss this showcase of student work, to be held May 1 at Collected Works in downtown Santa Fe. 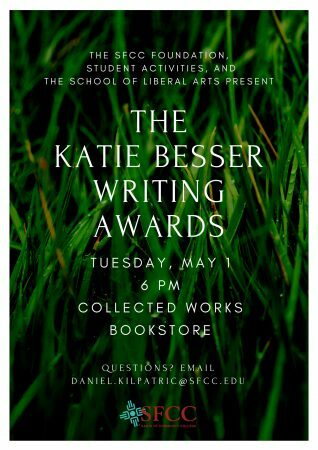 This ceremony will honor those recipients of awards in Academic Writing, the Personal Essay, Fiction, and Poetry. The ceremony will also recognize this year’s winner of the Richard Bradford Memorial Writing Scholarship.